For more than 40 years, our family business has dedicated its time and resources to our customers. Today, it’s no different. Our expertise lies in creative programming, logistics & competitive pricing. The trip to Israel and Jordan was a wonderful experience. I compliment you and your staff for a superb job of organizing the trip; the best and most thorough and conscientious service I have received from a travel agent. Many thanks for making the trip a special and worry-free experience. Why Choose The Gil Group? We know that you have plenty of information right at your fingertips. It’s our expertise and personalized service that separates us from the others. Sometimes you may know exactly where you want to go and what you want to do. Other times, you may need an expert to help guide you. We’re there for you, no matter what stage of the travel planning process you’re in. That’s why so many prestigious organizations choose The Gil Group to plan their programs, and to execute them from start to finish. We have been awarded the prestigious contract of sending over 40,000 Birthright travelers to Israel each year. We pride ourselves in helping our clients plan even the most logistically complex trips around the globe. We know that you want to hear about other travelers' experience with The Gil Group and our programming. Find out more here. Our team has travelled the world. We send all of our agents to Israel and other Jewish communities around the world so they can see and experience firsthand what they’re recommending. They understand cultural nuances. They listen to what you want but know what to recommend for your needs. Among our staff we speak Hebrew, Spanish, French, German, Italian, Albanian, Creole, and Arabic. — On September 20, 2010 Consul General Daniel Kutner and Dr. Shirley Kutner joined the State of Israel Bonds in honoring Igal and Iris Hami of Gil Travel, who were recognized for extraordinary achievements promoting the State of Israel both individually and professionally as owners of a leading Israel travel agency. 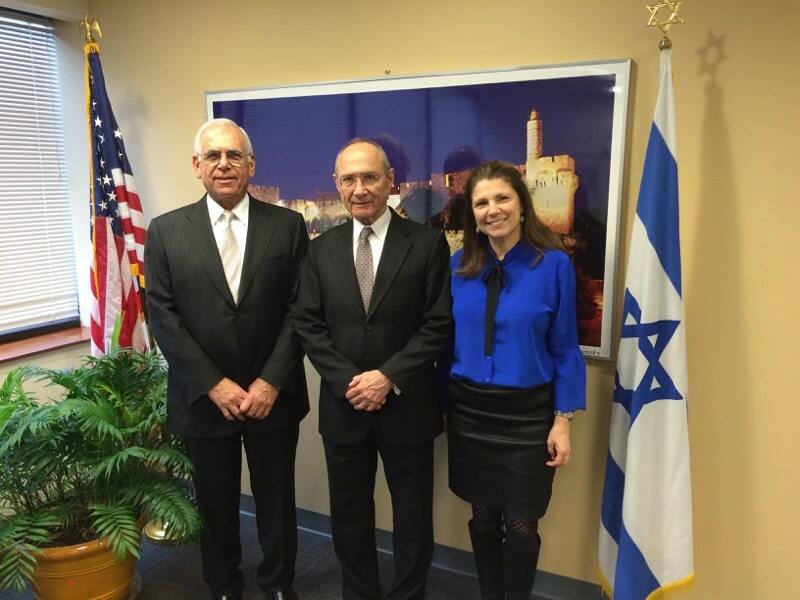 Their generous support for worthy causes in the Israeli community is well known & well respected. — The Wharton Business Development Center and the Philadelphia Business Journal named Gil Travel among the 1994 Philadelphia 100, as one of the fastest growing private companies in the Delaware Valley. In 2003 Gil Travel was nominated. — Igal Hami, owner & CEO of Gil Travel has received numerous awards for extraordinary achievements in promoting tourism to Israel on El Al Airlines. Email [email protected] or call 215-568-0696.